did the Lady stop after the video, smile sweetly, then say, "Never mind!" but I would strongly suggest not going to the AD as it wont end well. I agree with those who have stated this. Kind of like going to traffic court. Who do you think the judge is going to believe, you or the officer. She tried to take a few things back but it was too late. Her son who was very quiet and a decent middle school player just got up and walked out saying I told you this was a bad idea. He got worse as a player after that and I think it was he was humiliated. She had broken him. BTW, 2 families I know of met with the coach and AD last year, sons were both juniors. One will not be trying out this year and the other is undecided. I have been the coach in one of those bad meetings. A parent heard someone say something to her son and thought it was me. She came in furious the next morning to a meeting with me and the AD dragging her son along. I had gotten a heads up from a mutual friend that she was wanting to meet with me and what it was about. She started the meeting with calling me every name under the sun and saying how bad of a coach I was and how bad the AD and the sports program in general was while her son sat there with his head down the whole time muttering please be quiet. When she finally got to the incident, I whipped out my phone and pulled up the facebook live that a lady had done of the game. and had it to the exact spot in the game. I played it for her and she realized I was talking to the referee at the time and it was the lady videoing the game's husband that shouted at their son and not her son. She had just misunderstood. I will admit that he did not get as much playing time the rest of the season and had been a starter. I felt sorry for the kid but sometimes our kids get the blunt of our mistakes. The kid got cut the next year because the high school coaches did not want to deal with the mom. Just a real life incident where the meeting did not go as planned. Might want to think about it before you open that can. I know coaches who would take losses rather than reward a kid they don't like or a kid of a parent they don't like. I still hold there is something in the past you don't know about between your son and the coach. “Our kid gets the blunt of our mistakes “coaches taking losses rather than reward a kid” so powerful. This humbled me so much. I am glad I am in this site so early! Learning so much from everyone experience! “she has broken him” ok in my time zone it’s 9:30 late Arrival today I am sipping on coffee and freaking crying. Stop it. I am crying 😭! My youngest son is blessed to have two older brothers who paved the way of my stupidity so that he has it better. My two older sons were adults by the time my youngest was in middle school so they had already told me how bad I acted and how I embarrassed them at times. Thank God for children who will be honest. My youngest does not know how much he should thank his older two brothers. I just wonder how many athletes have been broken by their parents over the years by their behavior. We run a church children's basketball league and had two coaches get nose to nose the other night. I had to sit both of them and would have sent them to the parking lot if I thought they would not have fought. One said it was not that big of a deal. I answered if you could have seen your 7 year old crying because of how you were acting you would think differently, but maybe not. I was reminded, it is just a game for kids to play whether it is baseball or basketball or football or soccer or fill in the blank. I am honest. If a college coach, or scout ask me for my opinion they are going to get my honest opinion. Building relationships on trust get's guys way more opportunities than it causes guys to lose opportunities. I wont be saying anything I haven't already said to the player and the parents I can guarantee you that. Now having said that I have serious issues with any college coach who bases his decision solely on the opinion of one person. Unless he has a long time relationship with that coach and he has proven to be trustworthy over a long period of time. So if a college coach simply took the word of a HS coach to base his decision on then in my opinion that's a poor reflection on the coach not the player. If a college coach got a negative report like this on a player from his HS coach it should only be one piece of the puzzle. What do his summer coaches say? What do his former team mates say? What do the players say who have competed with him and against him? What have your eyes told you when you observed him during games interacting with his team mates? What have other coaches heard and who did they hear it from? What have your interactions with the player told you? And what do the assistant coaches of his HS program say? If this HS coach told you he said these things to the college coach and: He has never brought this to the players attention and assisted him with changing the behavior. If he has never brought it to the parents attention and asked for assistance in changing this behavior. Then the HS coach is a total clown and has failed miserably and doesn't need to be coaching. I have heard of HS coaches trashing players before. I personally know of a couple of instances where a HS coach trashed a player because he simply didn't like the player. In both instances the information from other sources proved to be in such direct variance from the HS coaches comments it was discounted. I can tell you it's not an easy thing to tell a college coach the truth sometimes. But it is imperative if you want to be trusted to provide the truth on a player that is deserving of an opportunity. If what your saying is indeed true that is very sad and a total failure from the HS coach AND the college coach as well. 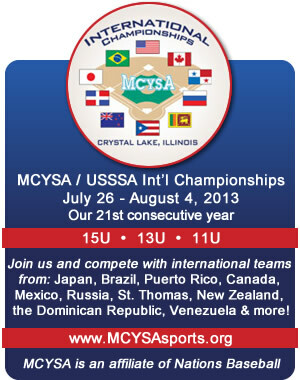 Ok here we go.... son did very well this past summer, played for a great travel team, went to big events and had fun. He’s a 2019 and finally hit the elusive 90mph mark and above. Many local jucos startec showing interest through the travel team and began contacting him, about 7 that wanted him to visit. So we began the visits, one coach really liked him and he asked about his grades and said he wanted to talk to his HS coach. No big deal we thought....Juco coach calls him back a few day later and says that after meeting my son and because of how well he knew the travel coach he was going to offer him a full ride, but he said your HS coach said really bad things abou you,, not a leader, can’t be counted on, lazy. We were shocked and I was PISSED, the coach NEVER spoke to my son about any of this negative stuff, he was the #2 pitcher his junior year and did well. He has 3.3 gpa and scored a 26 ACT. Talked to the coach who was very smug and said that was his opinion, I couldn’t believe it, never interacted with him, did a lot of extra work on fund raising and snack bar duty, and this guy almost cost us $11000 scholarship. Next step is district athletic director, we now only use the assistant baseball coach as reference and travel coach. What do you guys think? The few people I’ve told have never heard of this from a coach before unless the kid was a hug disciplinary problem. Out of curiosity, what was the HS record last year? Echoing what some others have said, college coaches call to find out about a player's character, not their skill. You want to say positive things. With most players, it's easy to do that. But you also want to maintain your long-term credibility. So, in the occasional event that a player has character issues, you damn them with faint praise. There are rare instances where a player's character issues are such that you have to actively bring them up with the college coach. It's not enjoyable. You hope that you can conclude the conversation by mentioning that the player is redeemable. I mean maybe there even is some truth to his assessment (i don't know) but even then i would expect him to sugarcoat it a little, he isn't owing the college anything. I am not commenting on this specific situation, but in general, I think you are wrong — the coach may not owe the college anything, but he has to be honest for the sake of every kid he may (or may not) recommend. Baseball is a really small world and if a HS coach is less than honest about a kid, it will get around. College coaches of all levels will figure out he can't be trusted, and eventually he will say nice things about a kid, but no one will believe him.